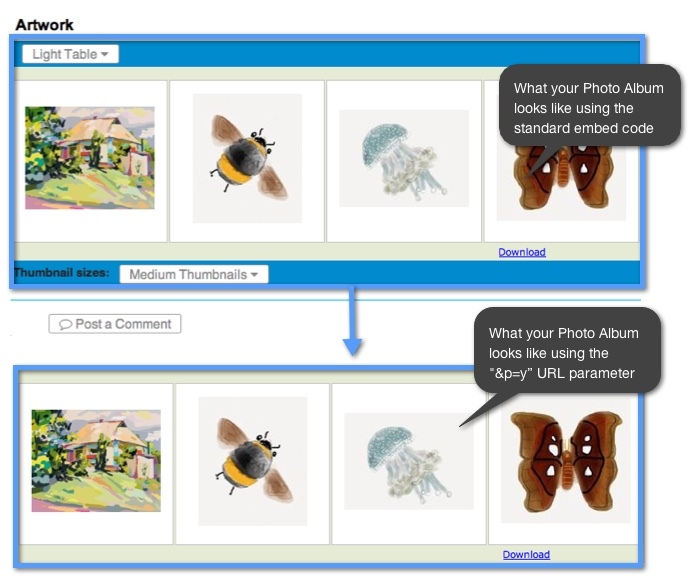 Almost every element of the appearance of your embedding Photo Album can be modified using URL parameters. 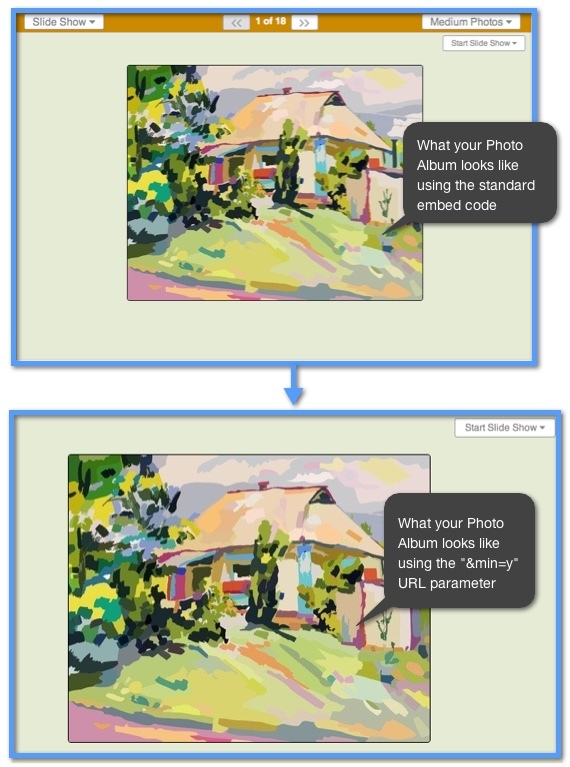 You can choose the size of your photos or choose what elements even appear in your embedded Photo Album. It's completely up to you how you want others to see your Photo Albums. 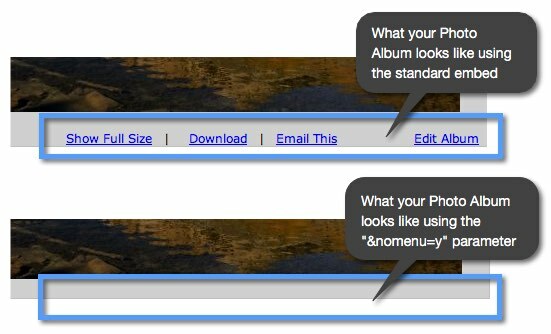 Small Photo Size - "&vs=s"
Medium Photo Size - "&vs=m"
Large Photo Size - "&vs=l"
Keep in mind that if you want your visitors to view your embedded Photo Album in the medium or large size photos, be sure to give them room for the album in the iframe. Here are recommended minimum iframe width and height parameters. Note: that the vertical height might need to be higher if your photos have captions that take up multiple lines. Test viewing your album in the five different viewing styles to make sure the iFrame fits them all. This set of parameters controls the display of the elements above and below your embedded photos and Photo Albums. No Menus - "&nomenu=y" turns off the blue link commands at the bottom of the album. Clean “Print” mode - "&p=y" causes the album to display with no commands of any kind, as if it were to be printed. If you want the ultimate in a “clean look,” try this setting. But be warned, slide shows will not have the black arrows to navigate through the slide show images. Clean “Minimum” mode - "&min=y" is similar to print mode, but the slide show will have start, stop and speed controls.